Globally, the International Maritime Bureau (IMB) Piracy Reporting Centre, based in Singapore, recorded 201 incidents of maritime piracy and armed robbery in 2018, up from 180 in 2017. The Gulf of Guinea remained increasingly dangerous for seafarers as reports of attacks in waters between the Ivory Coast and the Democratic Republic of Congo more than doubled in 2018. 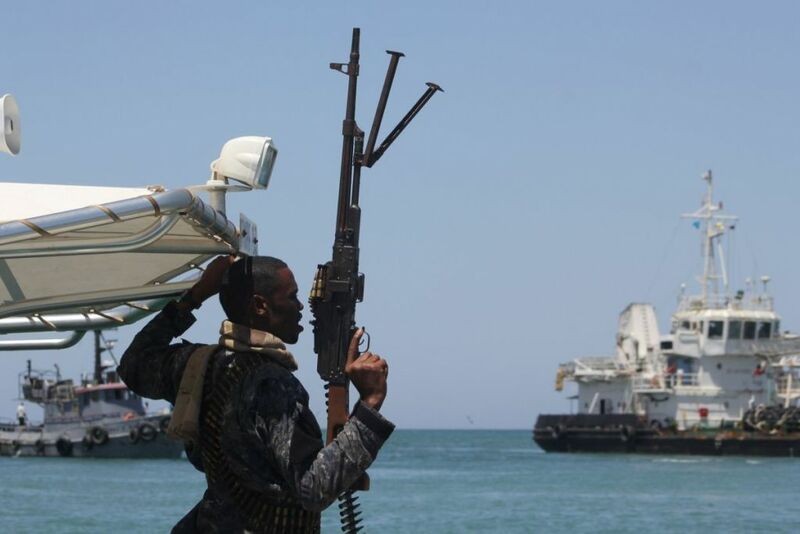 The expansion of piracy in the Gulf of Guinea poses a dire threat to local economies, potentially undermining what little stability currently exists in the region. Oil revenue, which many countries in the region rely upon, is seriously threatened by pirate activity; 7 percent of Nigeria’s oil wealth is believed lost due to such criminality. Additionally, instability in the Gulf has sharply decreased revenue collected from trade; Benin, whose economy depends on taxing ships entering the port of Cotonou, has experienced a 70 percent decline in shipping activity due to piracy. Furthermore, as piracy drives up insurance premiums for international shipping companies, the price of imported goods in the region could spike, further imperiling local economies. On its part, the Federal Government of Nigeria is currently working assiduously to ensure that the Nigerian Maritime domain and indeed the Gulf of Guinea is safe for local and international shipping and has taken several proactive steps to ensure this dream is actualized. The Bill incorporates the Safety of Life at Sea (SOLAS) and the Suppression of Unlawful Acts at Sea (SUA) conventions of the International Maritime Organization (IMO) into a comprehensive legislation to deal with the menace of piracy and related crimes in the Nigerian maritime domain. The Federal Executive Council (FEC) has approved the acquisition of maritime security assets under the ‘Deep Blue Project’ which will cover aerial, joint maritime and shore surveillance systems as well as physical patrols of our coastal and Gulf of Guinea waters. The project is an all-encompassing security scheme aimed at maintaining a 24-hrs eagle eye view of our maritime domain and has been midwifed by NIMASA under the office of the National Security Adviser (NSA). On its part, the Executive Management of the Nigerian Maritime Administration and Safety Agency (NIMASA) under the leadership of Dr. Dakuku Adol Peterside is fully aware of the economic losses resulting from maritime insecurity and the consequent high costs, for stakeholders, involved in adopting extra security measures and insurance premiums. NIMASA as the Designated Authority (DA) responsible for administering the maritime industry, while ensuring safer and more secure waters, has adopted a Total Spectrum Strategy to combat insecurity in the nation’s coastal waters and in the greater Gulf of Guinea area. The Agency’s Management is also aware of the effect of marine insecurity on maritime related businesses culminating in reduced employment and business opportunities in the Nigerian maritime industry not to mention the negative international media coverage which in itself is bad for attracting and sustaining investments into the sector. The Nigerian Maritime Rescue Coordination Centre at Kirikiri Lagos will considerably enhance the dissemination of information in the Nigerian Maritime Domain. The incident reports from Masters of Ships/Skippers on piracy attacks or suspicious crafts will promptly be relayed to the Nigerian Navy for immediate response. Distress messages will henceforth be directly intercepted by the RMRCC thus eliminating the delay in relayed messages. The Agency is working out modalities to ensure that all Ship owners install Ship Security Alert System (SSAS) which when triggered onboard will automatically alert the MRCC and Naval Authorities of any piracy attack. At the bilateral level, Nigeria has been at the forefront of enhancing cooperation aimed at improving security in the Gulf of Guinea. This is demonstrated by the concluded joint maritime security patrols carried out with Benin Republic tagged “Operation Prosperity”which succeeded in reducing the number of pirate attacks off the coast of both countries. Participation in regional exercises has also yielded positive results with the GoG member states now conducting cross-border patrols, sharing law-enforcement intelligence, establishing and maintaining joint coordination centres through the implementation of a regional strategy. The US Navy component of AFRICOM has been conducting exercises such as Obangame and Saharan Express to reinforce and activate operational agreements. In this regard, the Agency fully participated in the 2018 version of the Obangame Express held in the GoG Region. Another example of international partnerships entered into by NIMASA in efforts to eradicate maritime insecurity involved NIMASA’s exercise tagged ‘Operation 30 Days At Sea’ which saw INTERPOL in conjunction with the NIMASA, Nigeria Police Force, Nigerian Navy amongst others to conduct patrols in GoG territorial waters in 2018. It is a peculiarity of how piracy incidents are reported that leaves the Gulf of Guinea open to exaggerated security threat levels. A situation where every incident of maritime crime regardless of nature and scale are reported as ‘Piracy’, it is inevitable that figures reflecting on these would be higher than they would ordinarily have been. For example, information from the ICC-IMB indicates 149 recorded incidents of piracy and 34 attempted piracy attacks whereas statistics from the Maritime Rescue and Coordination Centre (MRCC) show that there were only 31 cases of piracy and 18 cases of attempted piracy in Nigerian territorial waters in the same period under reportage. Bearing in mind that most of the cases reported involved opportunistic theft from vessels and activities of oil bunkerers, it is unfortunate that the optics of violent, armed pirates roaming the GoG with impunity continue to pervade international media coverage whereas this is very far from the reality. 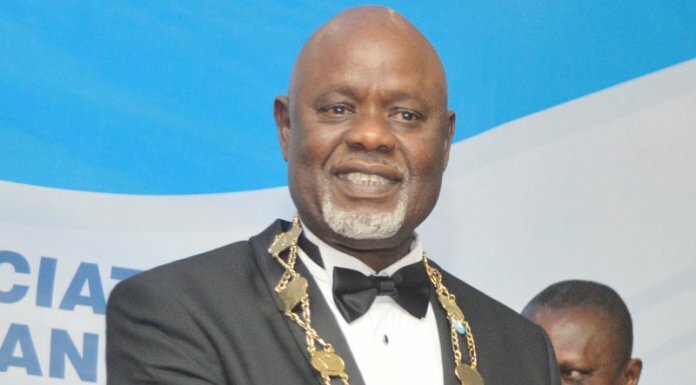 NIMASA, on its part, has raised the issue of misrepresentation by the IMB to the International Maritime Organisation, at its annual meetings on numerous occasions highlighting the inconsistencies in the reportage of piracy incidents and the negative effects that has on the perception of the Gulf of Guinea maritime area. Regardless, Nigeria’s maritime territory and the Gulf of Guinea at large remain very viable domains that must be secured in view of the fact that activities within this domain are significant to the economic well-being of our nation and the sub-region. By securing this strategic area, we would be encouraging further commercial engagements with the international shipping community, which translates to an additional boost to our national and regional economies. Clearly, the truth about piracy in our waters is that NIMASA has acquitted her responsibilities in securing our territorial waters commendably despite ongoing challenges and has contributed, through aggressive implementation of drawn up strategies and collaboration with international agencies and Gulf of Guinea countries, to improve the security situation in the region’s maritime space. ––Amuta, a Public Relations Officer with NIMASA, writes from Lagos.